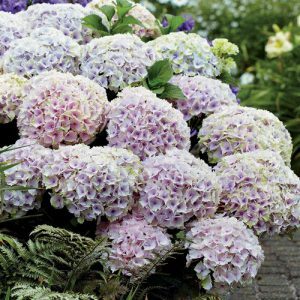 Hydrangea color will vary depending on the pH of the soil it is grown in. We’ve talked before about how your soil type can vary from one spot to another in your garden. In my journey to discovering my green thumb, I’ve learned that light is just as unpredictable as soil. As spring quickly approaches, I have been planning for what blooms I wish to include in my yard. While planning for the landscaping in my yard I’ve discovered that our backyard receives far more sunlight than the front yard. I want my front yard to have curb appeal and beautiful blooms. I quickly learned not to worry – there are plenty of options for shady & low light areas! 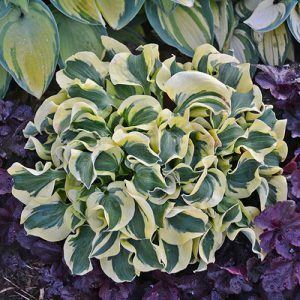 Hosta provides color through foliage! Many things can effect the sunlight exposure in a garden. Some areas may receive morning sunlight, but no afternoon light due to tree placement. In our yard, our house blocks most sunlight to the front yard, so we will need to use plants that do not require much light to thrive. There is no need to fear though, planting shade perennials and annuals does not mean that you will be skimped out on colorful blooms and foliage. Many low-light plants still produce bright and colorful blooms, and some of the foliage is simply stunning! So, you can brighten up all the dark spots in your yard or garden. Another great attribute to plants that do not require full sun is that they are often fairly low-maintenance. Hydrangeas are a great example of a plant that only likes a little but of sunlight. The color of hydrangea blooms will depend on the pH balance of the soil that you plant it in – so it could be blue, pink, or even purple! These blooms are huge and the foliage is equally as lovely. You can make a colorful splash in the garden without flowers – Hosta is the answer to that! This foliage comes in an array of flashy colors such as red, purple, yellow, green, and orange. Coleus has a trailing habit that makes it perfect for container gardens – it is especially beautiful in hanging baskets! To show off unique blooms in your shade garden, Dicentra Valentine® is a perfect choice! These heart-shaped blooms hang gracefully from their stems. They thrive in cool, moist, and shaded environments. Use Bleeding Hearts in a container or allow it to grow freely in the garden. 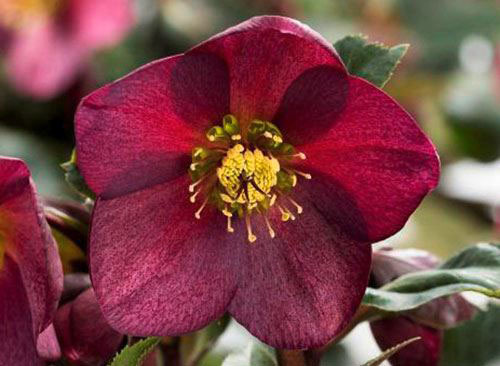 Other examples of plants that will thrive in low-light and shade are Ferns, Astilbe, and Hellebore! There are so many possibilities for your low light garden!